Well, I've done it. I've gone and fallen in love with a new cake. 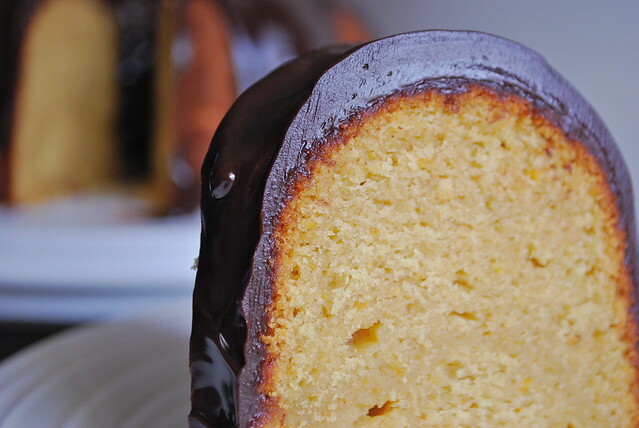 The object of my confection is a moist, buttery, orange bundt cake draped with semisweet chocolate ganache that has taken permanent residence in my cake keeper, beckoning everyone who walks by to take just one tiny slice. Not-too-sweet, and with a hint of bitterness (think marmalade in cake form), the cake pairs beautifully with the thick, rich chocolate coating. 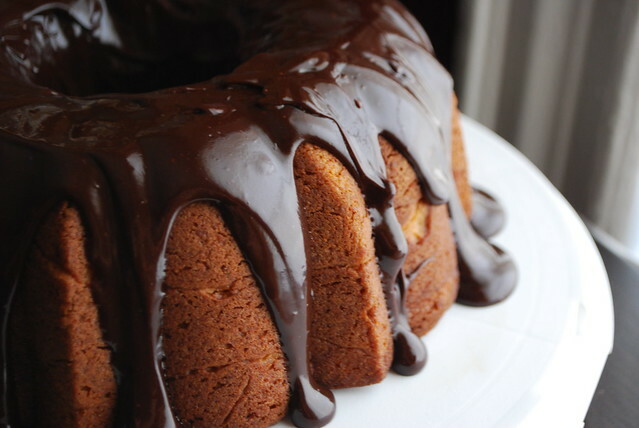 Orange and chocolate are perfection together and this cake brings together the best of both worlds. Beyond the flavor, there is a certain novelty to this cake. With two whole oranges added to the batter (yes, peel, pith, and all), there is that special element of "oh wow...this worked!" It's an old trick, and one that I've wanted to try for a while, but which I never quite had the chance to before. 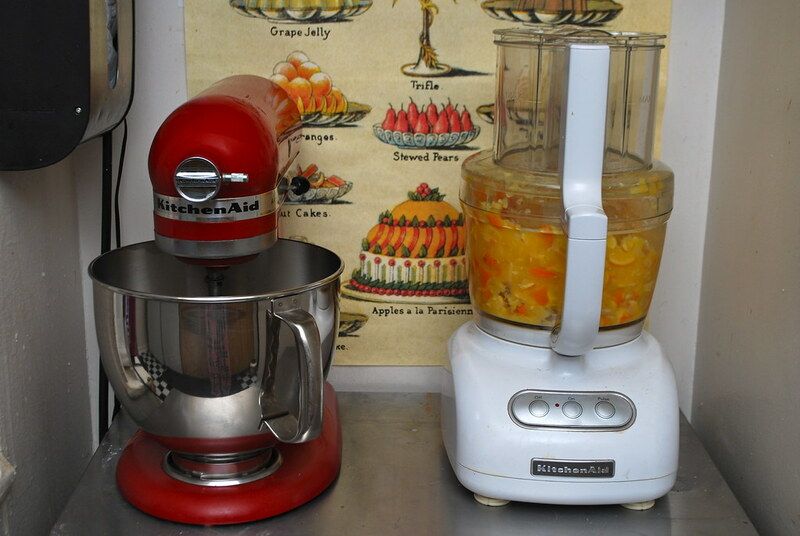 To make, two whole oranges are quartered and then tossed into the food processor to pulverize into a fairly smooth puree (no worries if there are a few tiny bits of peel left). You should use navel oranges, which don't have seeds, or you can use another kind and simply remove the seeds first. This is added to creamed butter and sugar, eggs, vanilla. 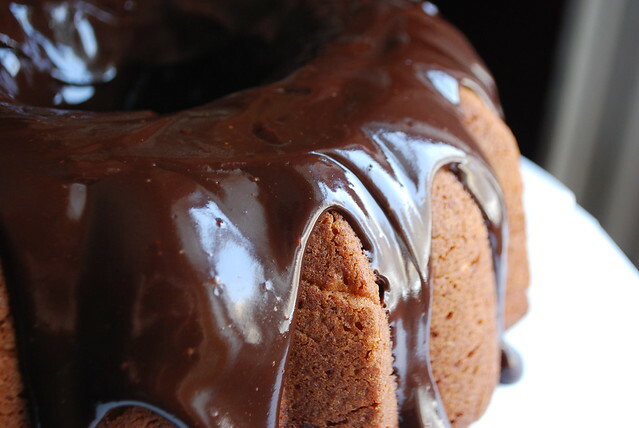 The flour is folded in until just combined and the whole thing is baked in a well-oiled bundt. An hour later it comes out of the oven, golden and tender, perfuming the entire house as it cools. Fruit in my home is a constant point of contention between the two of us. For Eugene, fruit is something in itself: tart, refreshing, sweet. He can eat a grapefruit, for example, and call it dessert. He lusts after the contents of the fruit bowl the way most people lust after chocolate. Were someone able to identify and bottle the gene in him that makes him turn down a piece of cake in favor of a pear, it could be sold as the greatest diet pill ever. I, on the other hand, think of fruit as an ingredient. Orange for marmalade. Apples for pie. Strawberries for ice cream. Fruit to me is a snack, not a dessert. I remember one evening a few years ago, when Eugene brought me to his parents home for dinner. After the meal was served, his grandfather brought out a half of a watermelon and a knife, cutting it into perfect triangles. Everyone but me reached over and grabbed one. They ate, and I sat waiting, thinking how cool it was that they were serving a palate cleanser before dessert. I waited and waited, and then Eugene said "OK, we should be heading out now." The plates were being cleared, people were putting on their coats. I finally realized there would be no cake. 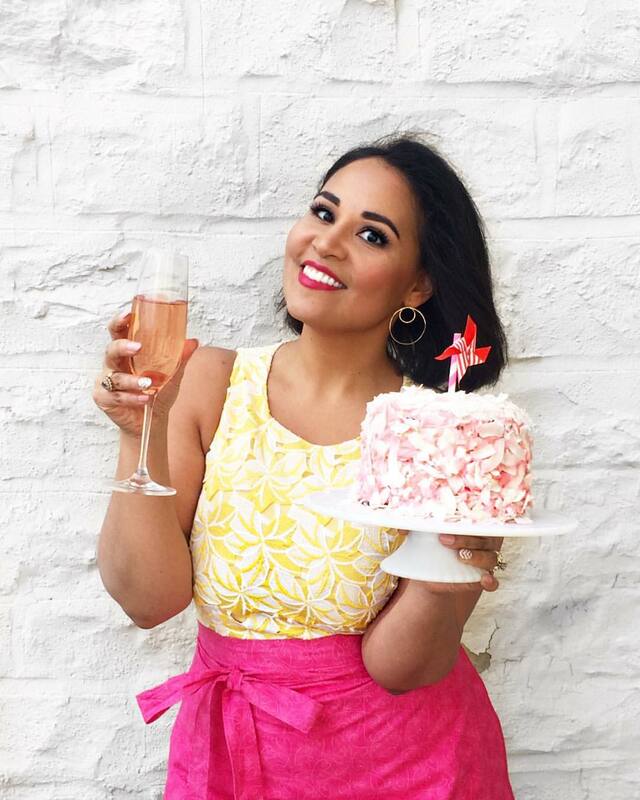 But in my home and in my kitchen, there is always cake. So when Eugene came home a few days ago with a large bag of plump, lush winter oranges, I knew it was time. He was bummed that I took two of *his* oranges to make this cake. (Four, actually, since I had to test the recipe again.) But he forgave me when the results came out of the oven. Fragrant, sweet, heavenly cake. The perfect winter dessert. 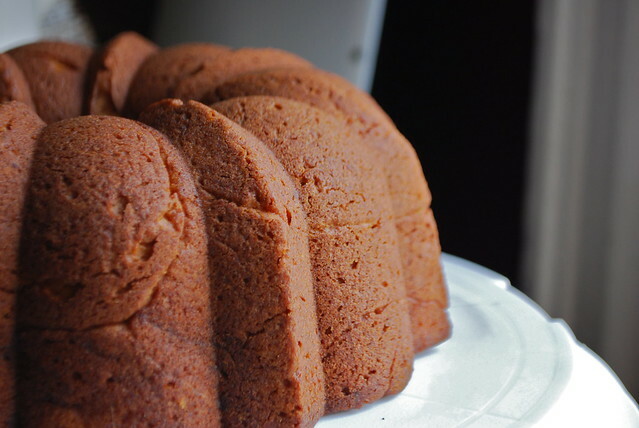 Pour the cake batter into the prepared Bundt pan, spreading so that it is evenly distributed. 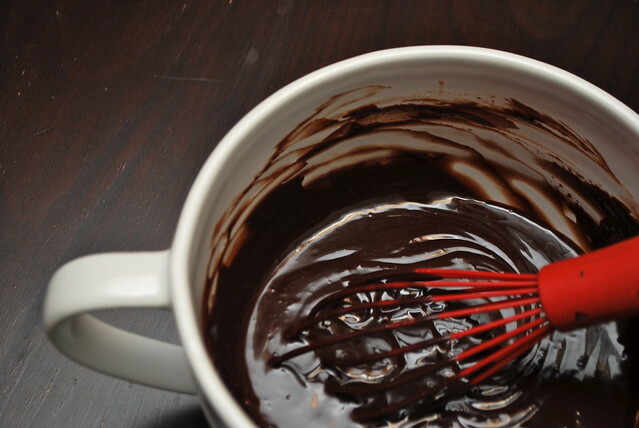 Bake at 350 for about 60 minutes or until a tester inserted in the cake comes out clean.